Scotland's STV has reported a 5% increase in revenues to £56.2m, although income from its City TV channels was flat, according to the broadcaster's latest financial report. During the first six months of 2016, STV saw strong growth in revenue from digital services, with a 25% increase in income led by earnings from its STV Player service. Operating profit before exceptional items amounted to £11.8m, up 13%, driven principally by the increase in regional sales revenues and the increase in digital profits. According to STV, its core Channel 3 service has "continued to perform ahead of the Network and this is expected to continue in the second half of the year with a strong autumn schedule and improved Network performance". But STV national airtime revenue is expected to be down 6% in Q3, resulting in a cumulative position from January to September of down 3%.The strong growth in the regional market during the first half is expected to continue, up 18% in Q3, with a cumulative position from January to end September up 20%. Meanwhile, its second "City TV" network, utilising local TV licences issued by Ofcom, is on course to reach 80% of Scottish households in early 2017 when three new licence areas (Aberdeen, Ayrshire and Dundee) are added to the network, which currently comprises of Glasgow and Edinburgh. The two existing City TV services, which have now merged almost all of their on-screen output, are reported to be "performing in line with expectations in relation to revenue and audience targets" An average of 0.7 million viewers access the channels each month, equating to around 30% of consumers within their broadcast area. The broadcaster's production arm benefitted from new deals with other broadcasters, with STV Productions' revenues doubling to £3.5m. “Our consistent delivery of sustainable growth over consecutive years continues with double digit growth in operating profit and EPS resulting in a 90% increase in digital earnings. Overall, consumer business revenues are up year on year with the growth trajectory in digital continuing at a significant rate, up 25%. The resilience of our business to fluctuations in national advertising sales is apparent with a high consumer margin being maintained despite a slight reduction in national airtime revenues. As forecast, STV Productions has delivered an improved performance with a stream of new commissions announced this year and, earlier this week, the announcement of a further commission from our strategic partnership with GroupM. Our balance sheet continues to strengthen through a further reduction in net debt, down 17%, which along with our strong cash generation, underscores our financial strength." 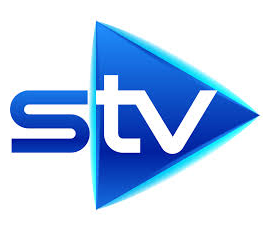 STV is now the only other company apart from ITV holding licences for the Channel 3 service in the UK, following ITV's acquisition of Northern Ireland's UTV. STV controls the Channel 3 service in Central and Northern Scotland, with Southern Scotland covered by ITV's Border Scotland service.